Patti has a Masters in Urban Policy and Planning with a healthcare emphasis. She was a teacher, consulted for Blue Cross/Blue Shield, built private medical practices, and worked as the VP of a third-party administrator for 21 years while designing nationally implemented self-insured health plans. Patti has always been drawn to volunteer work. 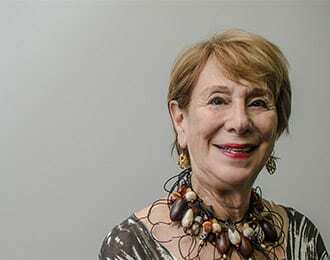 She took a three-year hiatus from healthcare to help settle Soviet refugees in Chicago, creating networks and business opportunities for people from all walks of life. She served as president of Art Encounter, a non-profit organization that brings art to seniors and underserved Chicago schoolchildren. She was the president of the Glencoe Public Library Board of Trustees. In 2005 and 2006, Patti volunteered with village agencies in Uganda and El Salvador. In 2011, continuing with her passion for volunteer work, Patti joined the Board of Directors of the Geographic Society of Chicago and became involved in Jewish/Muslim interfaith activities. In 2007, Patti created Volunteer Expeditions after planning her temple’s trip to New Orleans and realizing the effect of the devastation left by Hurricane Katrina. By her retirement in 2013, she has sent almost 50 groups (making for over 1,300 volunteers) to New Orleans. Patti looks forward to many more years of new opportunities, new friendships, and volunteering in her retirement.